Particularly great for younger knights, the Blackened Lucas Bracers are sized a bit smaller than most adult bracers. 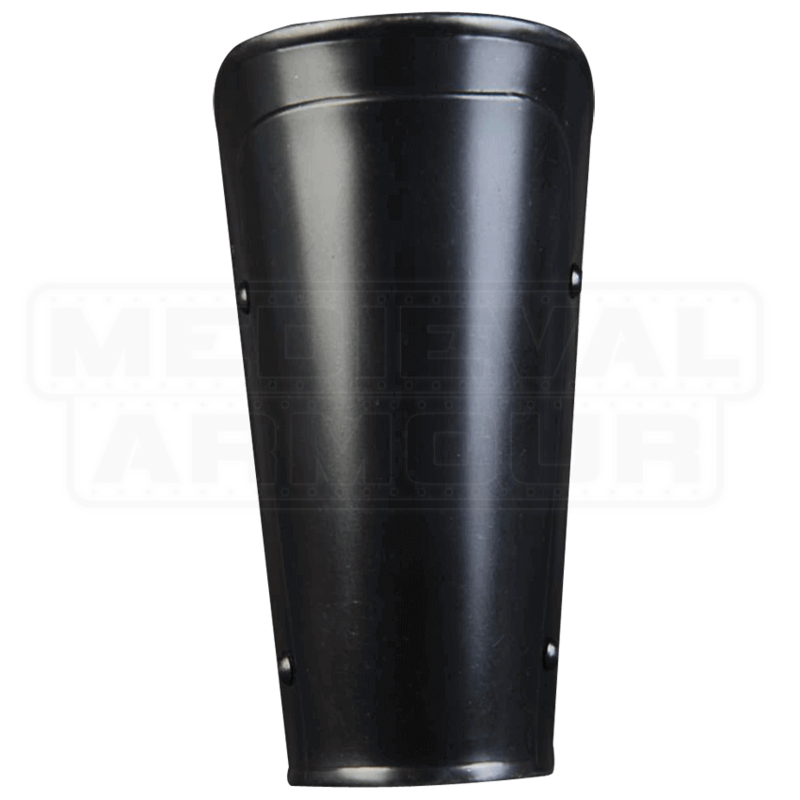 These high-quality steel arm guards are treated for anti-rust and are fastened with adjustable buckled straps. 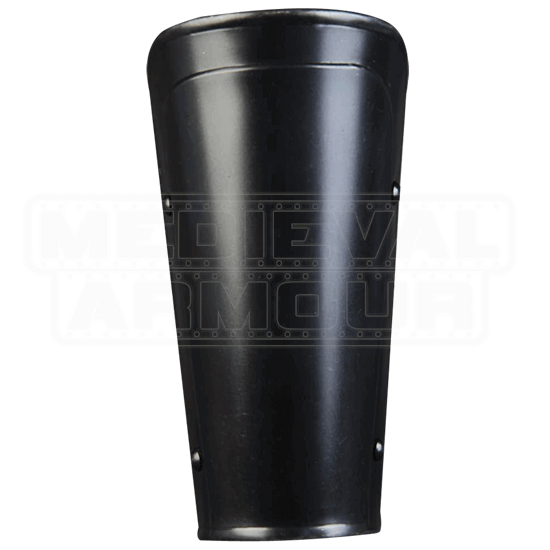 Featuring a versatile design, these 18 gauge steel bracers are sure to suit a variety of styles and will fit in perfectly with many a set of blackened armour. They can be worn for light reenactment over protective padding. The Blackened Lucas Bracers make great pieces for completing LARP or medieval-inspired outfits, especially those with a darker look to them.